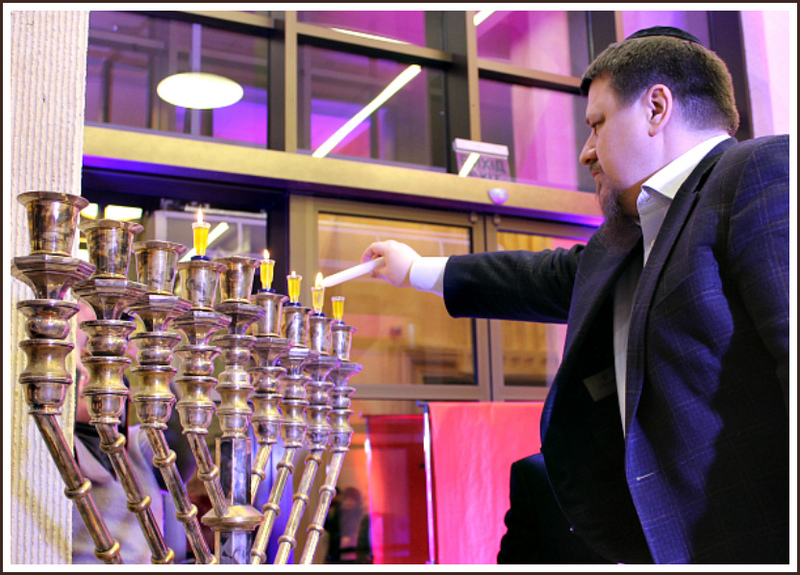 The fifth Hanukkah candle was lit at the Menorah Center. 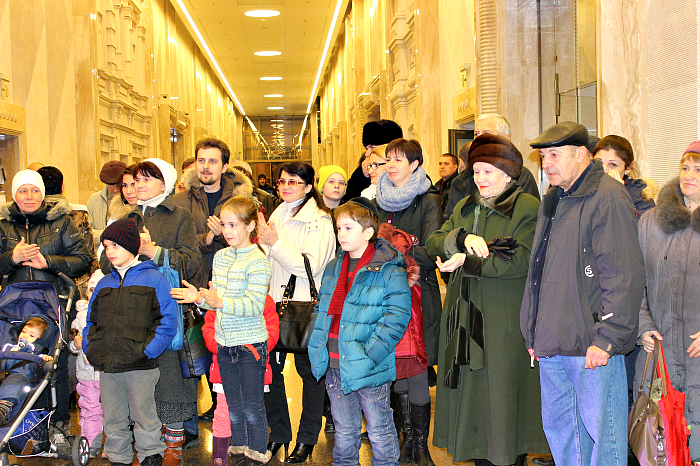 The ceremony of lighting a candle of the main khanukiyah of the Center was traditionally held at the intersection of the two Galleries. The honor to light a fire during that evening was given to Dan Makogon, the Chairman of the Board of “Shiurey Torah Lubavitch” Foundation. 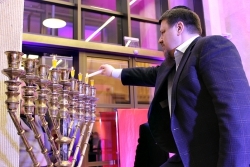 Dan pointed out that the fifth night of Hanukkah had a special meaning, as the number of lit candles began to exceed the number of unlit, and it symbolized the victory of light over darkness. 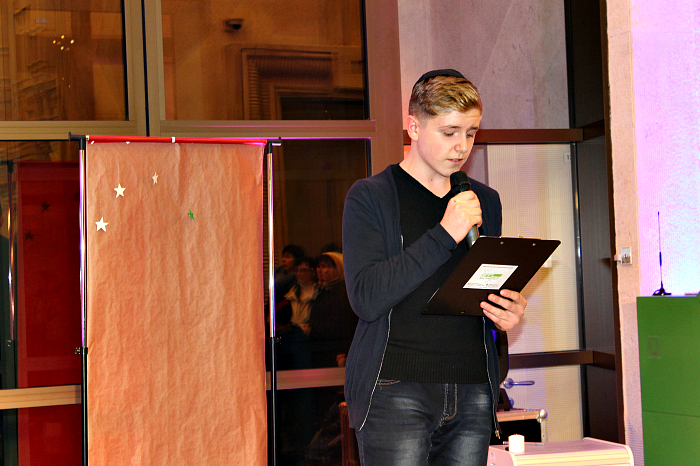 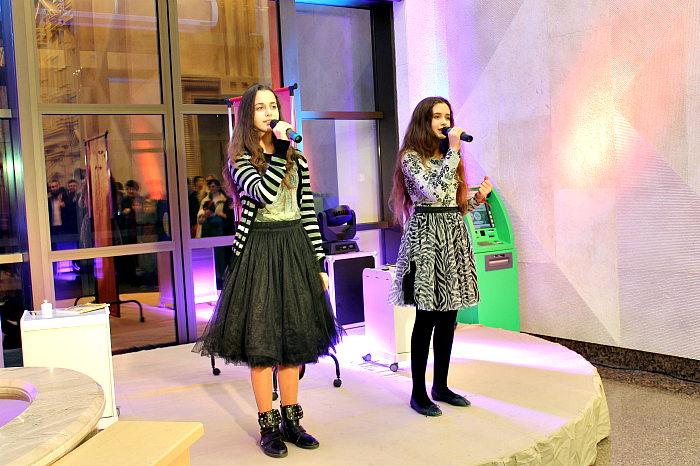 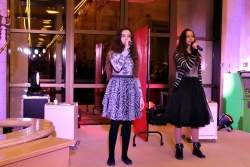 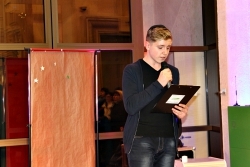 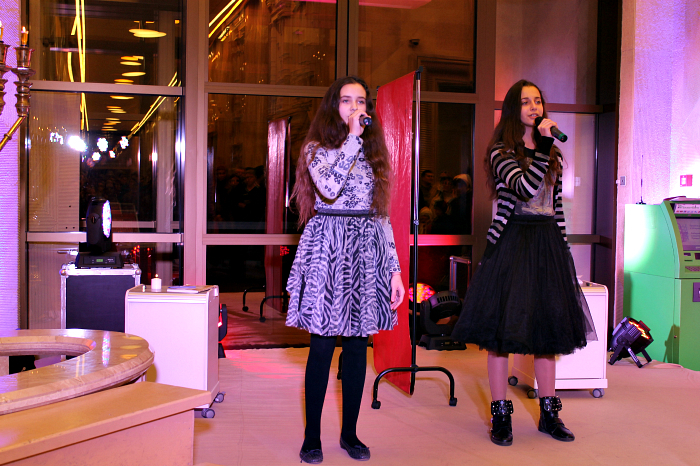 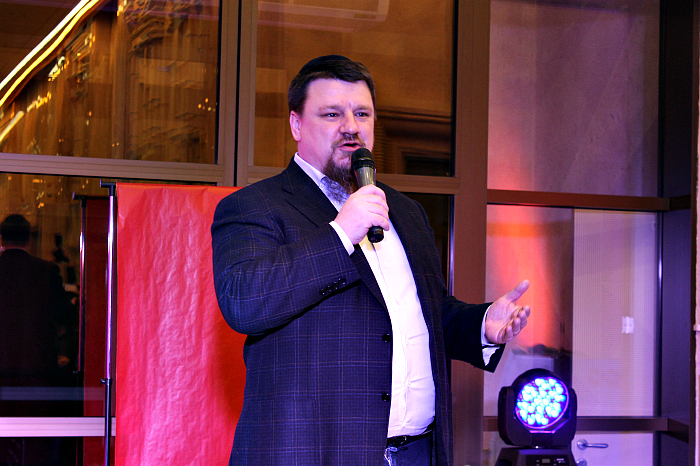 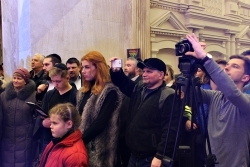 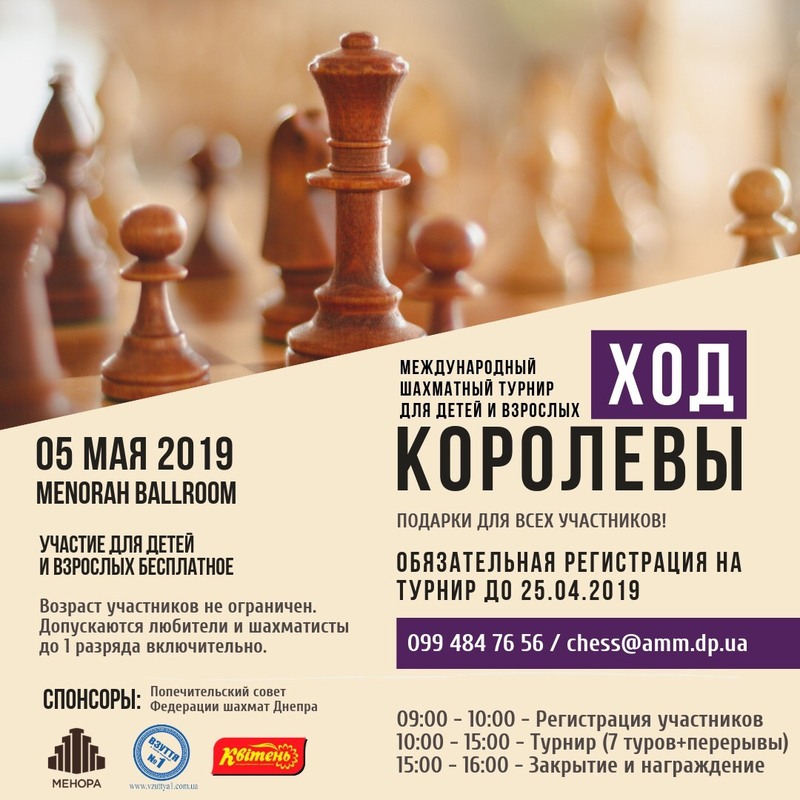 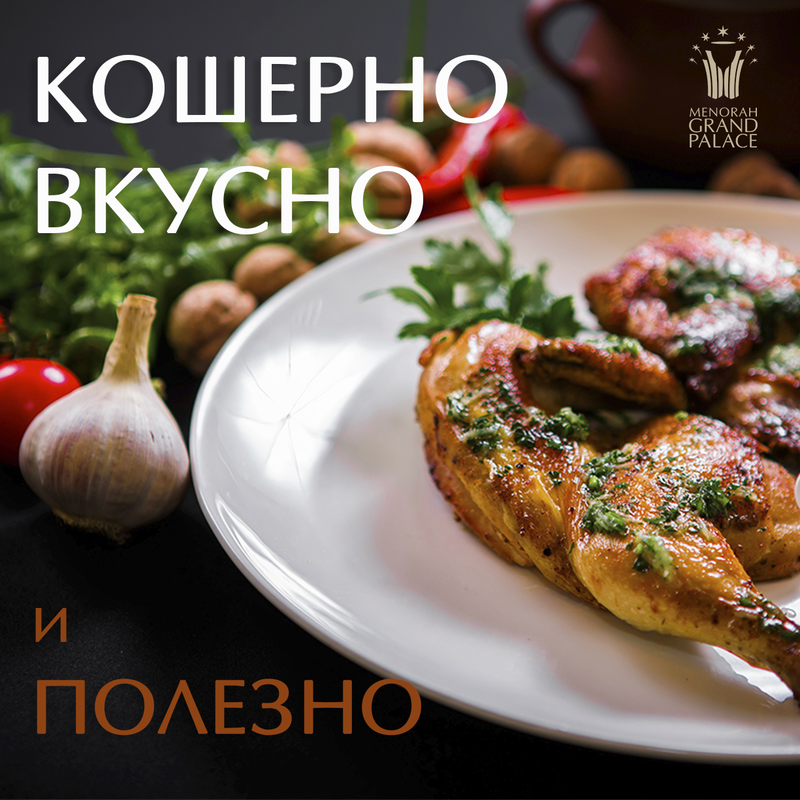 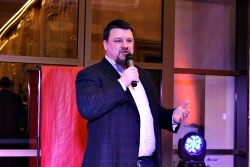 The “STL-teens” vocal studio and Jacov Rogovoy entertained guests during that evening. 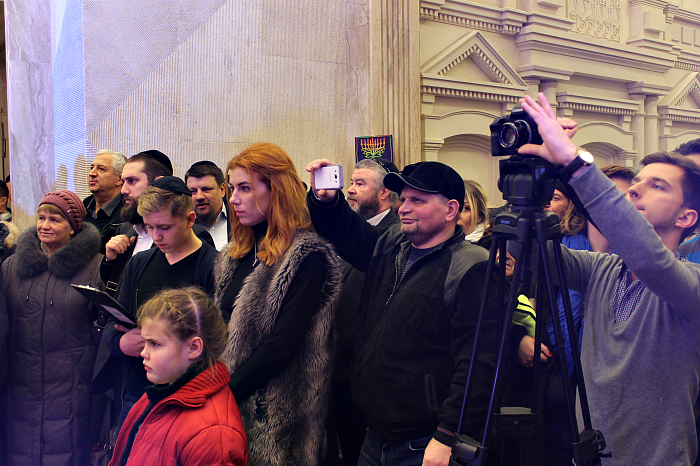 At the end of the ceremony, the visitors of the Center already traditionally enjoyed kosher meal donuts, a delicious surprise from the MENORAH GRAND PALACE restaurant.